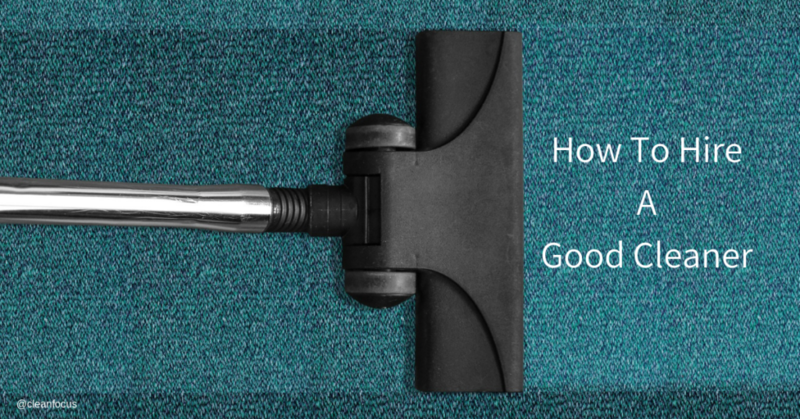 Where to start when you need to hire a good cleaner? Hiring a good cleaner can make a huge difference to your home, office and lifestyle. But, where do you find a good, thorough, honest cleaner? There are lots of avenues you can take such as hiring a cleaner directly, putting an ad for cleaning services on social media or online job boards or contacting a larger cleaning company to hire a cleaner for you. 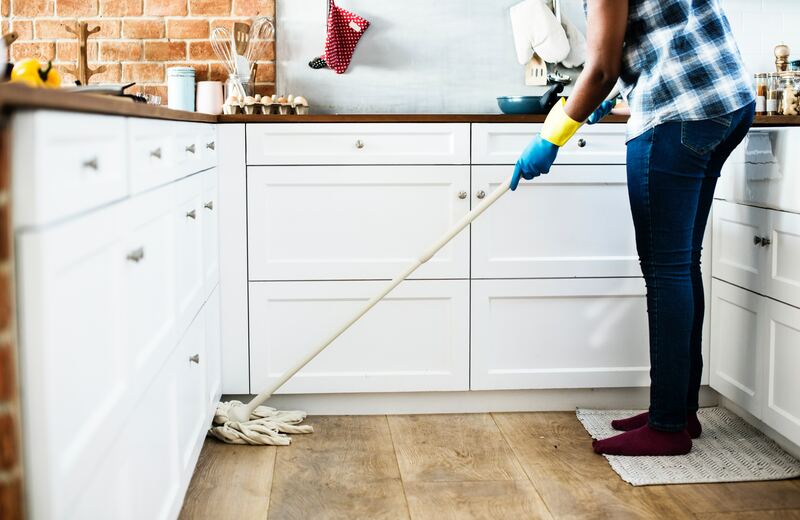 It’s important to hire a good cleaner, as a bad one can leave you with a dusty, dirty home or business and at risk from theft and other incidents. Clean Focus has been in the cleaning industry for many years and we have met all sorts of people who want to work as a cleaner. Some have been great, and others in the past haven’t quite worked out and we want to share our learnings with you! This might seem obvious, but thinking about the result you want first, really helps narrow down where to look for a good cleaner and who to hire. Are you looking for a team of cleaners to come in and do an end of project clean for a new building? If that’s the case you will cleaners trained in such jobs to get a good result. Are you after a cleaner to clean your home once a fortnight? Well, that can be easier as cleaning days can be flexible, or completed while you are at work. This can be difficult. There is no exact science and there has to be an element of trust in any human interaction for there to be a chance of a solid working relationship. You can, however, do your homework! If you are dealing directly ask for references, not just written ones, but maybe meet them in person for a coffee, or talk to them on the phone. Double check that they are genuine. You can ask for a police check and identification too. Always ensure that your cleaner has a valid visa and working rights in Australia. They are rare, but there are some unscrupulous people out there that may exploit workers who don’t have the right visas. Recommendations are also a great way to find a trusted cleaner. If they come recommended, they are likely to appreciate the referral and be a trusted service provider. It’s a fact that people will work harder and do a better job if they feel happy and engaged at work. Chat with your cleaner or cleaning supervisor and let them know when they have done a good job. Do some spot check too, to let your cleaner know that you are checking the work completed. Cleaning staff shouldn’t be made to feel subservient in any way as they work hard and provide a valuable service. The more you engage in positive conversations with your cleaner, the more likely you are to have an engaged cleaner who will happily go the extra mile to deliver an exceptional service for you. If you haven’t hired a cleaner, or commercial cleaning team before it’s better to contact the experts who can help you. Choose a commercial cleaning company who have a strong reputation for good service and have been around a while. This will tell you they have long-standing repeat business and growth. They can help you hire a good cleaner for your home or business situation and work with your budget. Knowing how to hire a good cleaner can make your commercial premises and business a welcoming place to work and meet and reduce the spread of germs and smells. If you hire a good cleaner for your home, you will instantly welcome that clean fresh smell when you come home from a hard day at work to a clean and tidy home. Both will free up your valuable time to concentrate on nailing that next project at work, or enjoying a dinner date or exercise class instead of staying in the vacuum and wash up!